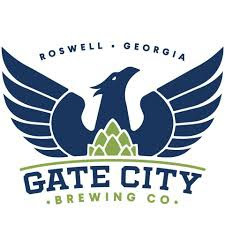 Abita Habanero Grapefruit IPA is our popular, citrusy IPA with fresh habanero peppers added to the cask. Heat and flavor from the peppers blend nicely with the aroma and acidity of the grapefruit and hops. ABV: 6.0%, IBUs: 40. 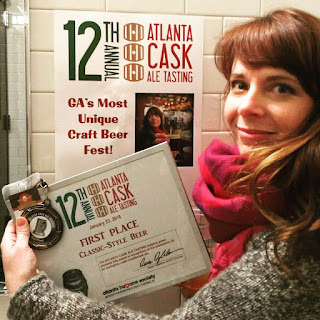 SECOND PLACE CLASSIC STYLE: Blue Tarp Last Place Stout aged in a bourbon barrel from Independent Distilling in Decatur, GA. This big, bold imperial stout is as black as night, with hoppy bitterness and rich coffee notes up front that fade into a delicate, dark chocolate sweetness. 11.3% ABV. Burnt Hickory Eerie Von Mother of Mercy is our 8% ABV winter spiced apple brown ale dosed with vanilla beans. It's an evil apple pie a la mode - just in time for the dead of winter. Cedar Creek Paradise Gone a Rye offers flavors of peach, pear, citrus and pine. We added fresh grapefruit zest to this bad boy to really kick up the citrus character. FIRST PLACE SPECIALTY BEER: Cherry Street O.A.S.I.S. (Old As Sh** Imperial Stout). This 10.1% ABV ale was made originally for our brewer Chris' 40th birthday and contains sarsaparilla whiskey-soaked cocoa nibs and vanilla beans, with cherries and extra vanilla beans added to the cask. Last year's ACAT People's Choice winner! Copper Creek English-Style Pale Ale. Experience classic real ale at its best in this elegant, soft, lightly fruity, amber best bitter that showcases caramel malts, traditional UK yeast and a sessionable 4.8% alcohol volume. 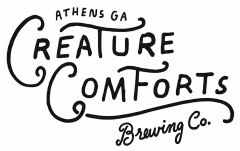 Creature Comforts Biere de Garde with Booger Hill Bee Company honey was barrel-fermented with Belgian yeasts and then conditioned for 12 months with our house mixed culture. 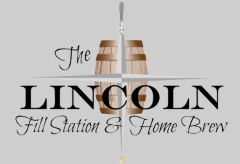 This cask was primed with Booger Hill honey and filled with 7.8% ABV unblended beer from a single barrel with a beautifully complex, balanced flavor. Eventide Kattegat Baltic Porter with peppermint and bourbon. We took our current winter seasonal and added real peppermint and bourbon to create a wonderful, wintry treat! THIRD PLACE SPECIALTY BEER: 5 Seasons Prado Hot Nuts Scotch Ale. The beer's complex malt character is enhanced with toasted pine nuts and Moroccan spices during secondary fermentation in the cask. The subtle spice and pine notes create an appealing allure in this malty, 8.5% ABV ale. 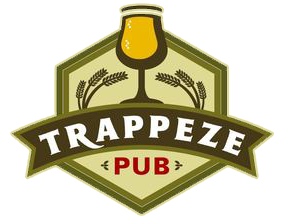 Flix Brewhouse St. Lucie Belgian Quadrupel is a special batch of our Druish Princess Quadrupel dosed with mahlab - a spice from the pit of the St. Lucie cherry. The mahlab lends flavors of bitter almond and cherry that complement notes of dates, caramel and toast in the base beer. Fonta Flora Beets, Rhymes and Life is an "Appalachian saison" brewed with local barley, wheat and rye from Riverbend Malt House of Asheville and aged on local Bull’s Blood Beets from Bluebird Farm of Morganton, NC. Dry-hopped with Cascade and Mt. Hood. 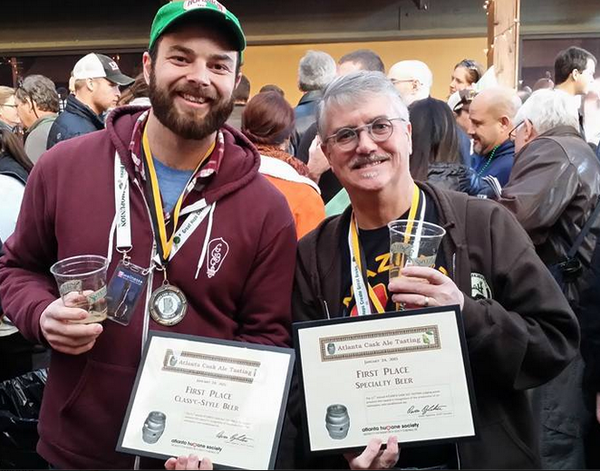 2015 Great American Beer Festival gold medal winner. Founders Centennial IPA dry-hopped with lemon peel and chamomile flowers forms an interesting take on Centennial IPA, with the chamomile adding flowery notes to an already floral IPA, and the lemon complementing the bitterness, while adding a citrusy tone. Green Flash Handshake IPA is a collaboration between Green Flash and Alpine Brewing. This unique cask features prickly pear and tangerine peel. 7.5% ABV. Harvey’s Sussex Best Bitter (UK - 4% ABV) is a superbly balanced, malty pub ale with classic UK hops. Tailored to the taste buds of Sussex for decades, this popular beer is brewed with Maris Otter and dark crystal malts. 2005 and 2006 CAMRA Champion Best Bitter of Britain. Harvey's Old Ale (UK - 4.3% ABV). Crystal malt and black malt sugars produce a soft, elegant beer with a nutty palate. Reminiscent of England's historic mild ales produced in the early part of last century. Harviestoun IPA (UK - 6.6% ABV) uses Fuggles and Challenger hops for bittering, then Simcoe, Citra, Amarillo and Apollo for aroma and flavor. Expect notes of tropical fruits and melons with a malty background. IBUs: 70. Harviestoun Orach Slie (UK - 6% ABV) - a light, slightly sweet, whisky barrel-aged lager housed in casks from the Glenfarclas Speyside distillery. It has a surprisingly robust, chewy mouthfeel with a gentle sweetness that gives way to a pleasantly bitter, dry finish. Heavy Seas Deep Six - A rich, malty, robust porter with a surprisingly dry finish, deep mahogany color, and complex flavors of chocolate, coffee and brownie batter. Highland Oatmeal Porter is infused with fresh vanilla beans and cayenne peppers that complement its chocolatey roastiness. With layers of spice on the nose and heat on the finish, this silky beer is like a smoldering, bittersweet, cayenne truffle. ABV: 5.9%, IBUs: 33. J.W. Lees Harvest Ale 2015 (UK - 11.5% ABV) is a limited edition barleywine, made annually from the first hops of the year and the finest British malt. This vintage is slightly darker than previous versions, with predominant flavors of toffee and sherry. J.W. Lees Moonraker (UK - 6.5% ABV). The name comes from a story of tipsy farmers who thought the moon's reflection in a pond was a floating wheel of Lancashire cheese. They tried to rake it out, but fell in. 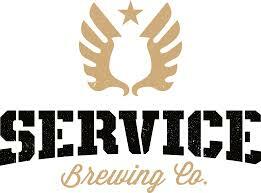 The beer boasts a strong, fruity, licorice aroma and rich, sweet, malty flavor. THIRD PLACE CLASSIC STYLE: JailHouse "I Was With Peaches!" Alibi Ale with peaches, vanilla, cinnamon and nutmeg. Alibi is our elegant and quaffable cream ale brewed with Georgia stone ground grits. Jekyll Copious Imperial Stout. At 9% ABV, this rich and complex imperial stout is chock-full of roastiness and chocolate backed by a balancing hop bitterness. Expect pleasant vanilla notes, a velvety mouthfeel from oats, and a smooth finish. Kentucky Bourbon Barrel English Pale Ale. Aged for eight weeks in freshly emptied bourbon barrels that impart caramel, vanilla and toffee character, this flavorful brew packs a wallop of complexity in the nose and palate. PEOPLE'S CHOICE WINNER: Machupu’s Coffee MAZURT RIS. His report was due. Machupu needed coffee but also craved a big beer. MAZURT stepped in with their super tasty blend of brandy and whiskey barrel-aged Russian imperial stout heavenly infused with deep roasted high-grade Kenyan coffee, Vermont grade-B maple syrup, Madagascar vanilla, organic Peruvian cocoa nibs and GA wildflower honey. He should have been fired for missing the deadline, but after sharing his MAZURT with his bosses, Machupu received a promotion and the coveted corner office. Machupu is a Kenyan name for “one who likes to drink.” 13.6% ABV. Guest brewed at Burnt Hickory. 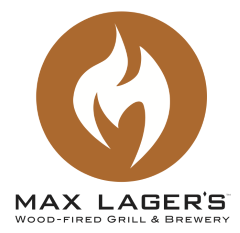 Max Lager's Dark Soul. The addition of dried Mission figs and chocolate enhances the dark fruit and caramel character of this malty, rich, warming Belgian-style strong dark ale. 11% ABV. Monday Night Pirates of the Scottish Isles. We took our Drafty Kilt and dosed the cask with chicory root and rum-soaked orange peel for a malty treat with new layers of herbal, citrusy complexity. Moon River Bethesda Farmhouse Ale with whole-leaf Chinook hops. Our friends at Bethesda Farm feed our spent grain to their cows and pigs. The 6.9% ABV Bethesda Farmhouse is a blend of a Brettanomyces barrel-aged saison with our fresh Belgian-style IPA. New Belgium Fat Tire dry-hopped amber ale showcases a velvety smooth mouthfeel, toasty malt profile and zesty green apple finish that are complemented by citrus and pine aromas from the extra Simcoe hop additions to this special cask. Oskar Blues Dale's Pale Ale dry-hopped with Citra and Mosaic in this special cask. This complex, malty ale offers notes of mango, lemon, grapefruit and earthy pine. Red Brick Chocolate Chakra Milk Stout. We took our Divine Bovine Chai Milk Stout and dosed it with extra Masala chai, chocolate and lactose to create an amazing dark ale guaranteed to warm your bones on a cold January afternoon. 6% ABV. Red Hare Saison Rouge stemmed from an employee brew-off. A warm-fermented saison aged on fresh cranberries, the final beer was conditioned on vanilla beans and fresh ginger for an enjoyable blend of sweet and spice. Reformation Brewery Raspberry & Vanilla Declaration. An imperial stout with roasted and espresso flavors that give way to subtleties of dark fruits, raspberry additions and vanilla. Second Self Valentine’s Seasonal Bleeding Heart Chestnut Dessert. We added chestnuts, cinnamon and lactose to this extraordinary cask of Bleeding Heart. Roasted chestnuts enhance the nuttiness of the malt, the cinnamon plays well with the vanilla, and lactose provides a sweet balance. Service Brewing Imperial Oatmeal Cookie Stout - Inspired by the original Byrd Cookie Company's Scotch Oatmeal Cookies, a combination of biscuit malt and oatmeal cookies in the mash gives this 10.2% ABV brew a subtle oat finish complemented by molasses, honey and cinnamon additions. Sierra Nevada Bigfoot - A beast of an American barleywine, brimming with bittersweet malt and heaps of whole-cone Pacific NW hops. This cask version shows soft carbonation with interesting ester nuances from cask-conditioning. Southbound Rockin' Chair Imperial Nut Brown Ale with fresh South Georgia pecans, Madagascar vanilla beans, local caramel, cocoa, small batch craft whiskey-soaked oak chips, and fresh Ceylon cinnamon sticks. Starr Hill Debut #7 Double Chocolate Stout with peppermint uses three separate additions of chocolate for a full, smooth chocolate aroma and flavor. This beer was enhanced with organic peppermint leaves in the firkin. ABV: 7.8%. SweetWater Café Chas. With notes of massive dark chocolate and robust coffee, our super special, 9.5% ABV stout also packs 60 IBUs and complex layers of dark malt, cocoa and stone fruits. Terrapin Blind Date. We took our award-winning Wake-n-Bake Coffee Oatmeal Imperial Stout and added organic dates and vanilla for a new twist. Expect deep, rich notes of chocolate, espresso, dark fruits and a luxurious malt viscosity. Thomas Creek Trifecta IPA. A full-bodied American IPA brewed with an abundance of Citra hops. 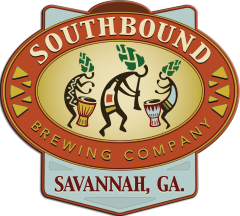 This flavorful brew offers a refreshing, yet potent, citrus aroma with notes of grapefruit and sweet malt. Three Taverns Wango Tango is a 5% ABV habanero, pineapple and mango sour ale brewed with 100% pilsner malt, soured with Lactobacillus in the kettle, fermented with American ale yeast and then matured on fresh habanero peppers, pineapple and mango in the cask. Twain's Galactic Criminal Sin IPA. Boom! Hops, like whoa! This delicious IPA features a big dry-hop dose of Australian Galaxy hops, and with every sip, you'll blast off to outer space in this 6.6% ABV hop rocket! FIRST PLACE CLASSIC STYLE: Wild Heaven Blackberry is Not a Planet Either - An extremely rare wild ale fermented with Drie Fonteinen Brettanomyces, then aged in Bordeaux barrels for 16 months with 40 pounds of blackberries per wooden barrel. Woodchuck Barrel-Aged Hard Cider - A blend of cull and bittersweet apple juice fermented and stored in bourbon and wine barrels. This cask was primed with freshly pressed juice, and the dry cider offers notes of bourbon, vanilla, oak tannins and fruit. 6.9% ABV. 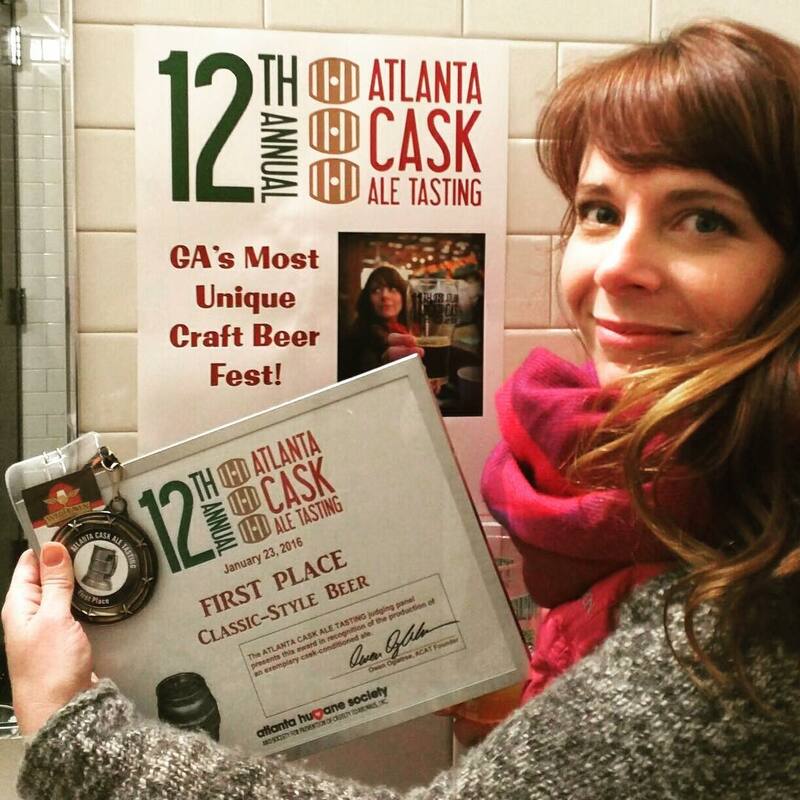 SECOND PLACE SPECIALTY: Wrecking Bar Almond Joy Jemmy Stout is our Jemmy Stout cask-conditioned on toasted almonds, coconut and cacao nibs. The chocolate and roasted malts of the base beer support layers of decadent flavors. Yes Face ESB is the poster child of flavor, balance and drink-ability - a complex beer with a solid malt foundation balanced by hop bitterness and flavor, and a subtle hop aroma that adds complexity. Water, malt, yeast, hops and 4.8% ABV. Photos with watermark are courtesy of Ale Sharpton of www.AleSharpton.com.